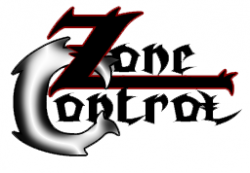 Zone Control is a game of strategy, luck, and constant struggle to maintain your zone while overthrowing and controlling your opponents. 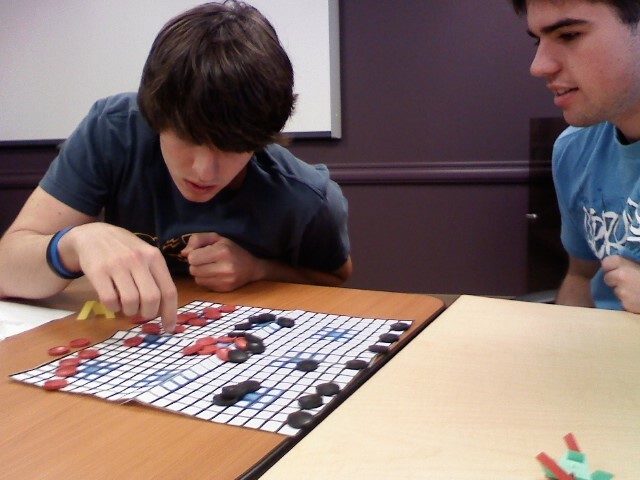 The object of the game is to control the most zones by the time the clock, which is set for 45 minutes, runs out. 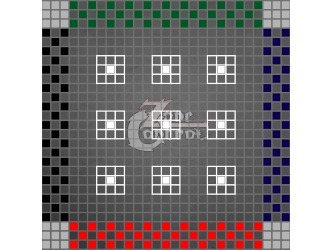 To control a zone, a player can move any number of his pieces into an unoccupied zone and that zone is automatically under their control. A player can move his or her pieces inside an unoccupied zone at any point. 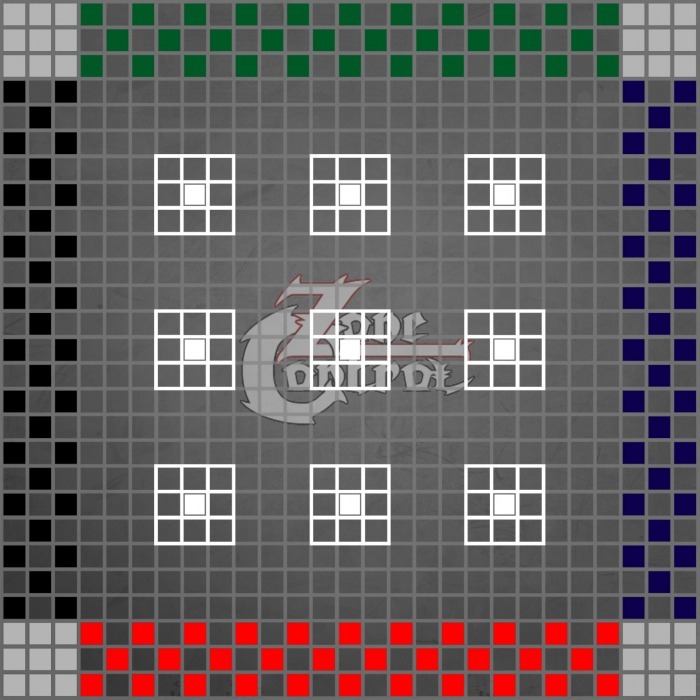 Once in that zone, the player can move those pieces about the various squares inside the zone or can leave the zone if he or she wishes.